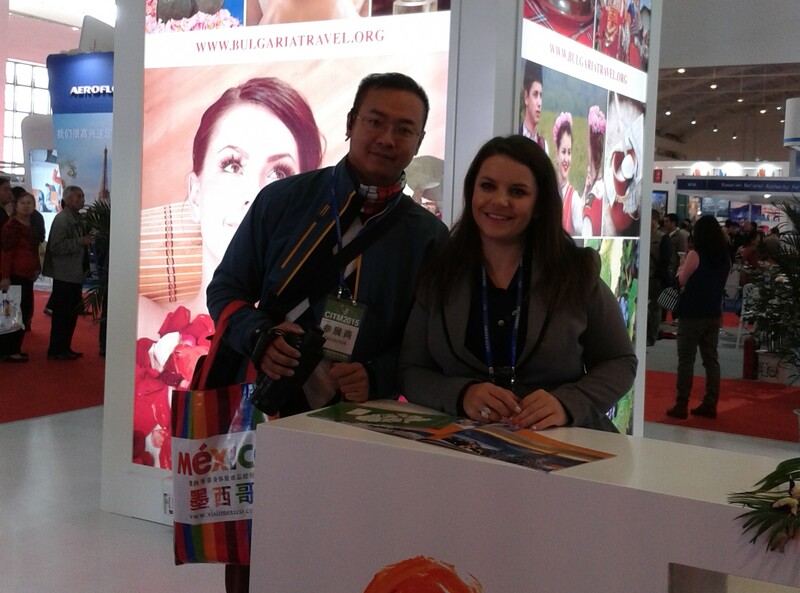 Bulgaria participates with a stand of over 40 square meters in the largest international tourist exhibition for professionals in Asia – China International Travel Mart (CITM) 2015, held in the city of Kunming, China, from 13 to 15 November. At the Bulgarian stand, the Ministry of Tourism presents both the opportunities for mass tourism and its specialized forms that have been developed by our country. Eco, SPA, gourmet and cultural tourism and the organized tours to the Valley of Roses are of particular interest to Chinese tourists. This year, within the CITM, Bulgaria participates in parallel in the general stand of the Tourist Coordination Centre, which is part of the medium-term programme for cooperation between China and the CEE countries (16+1). On November 14 (Saturday) Bulgaria will be among the countries that will be promoted as a preferred tourist destination at the Coordination Centre stand. Special focus will be put on the cities of Sofia and Plovdiv (elected Cultural Capital of Europe for 2019), as well as on traditional Bulgarian products such as yogurt and rose oil. China is an important rapid-growth market, and in 2014 the number of tourists from that country was almost 14,000 which is an increase of 31% compared to 2013. In the first eight months of 2015, Chinese tourists in Bulgaria were nearly 13% more than in the same period last year, or over 10 500 people. Our country has already signed a Memorandum of Understanding with China in the field of tourism. In April this year, Bulgaria signed a Protocol of Intentions with Romania on cooperation in the tourism sector by virtue of which a Bulgarian-Romanian Information Centre is due to open in Shanghai. In the newly opened tourist office, joint routes and tourism products in the Balkans, which represent a growing interest to Chinese users, will be promoted. The 17th edition of the CITM is held at the new exhibition centre Dianchi International Convention & Exhibition Centre. On an area of nearly 60 thousand square meters over 2400 stands from more than 100 countries are located.